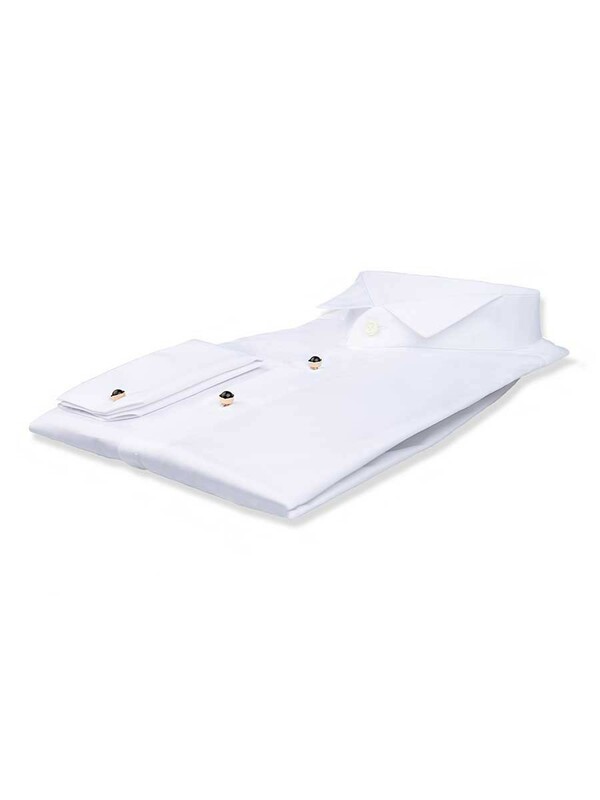 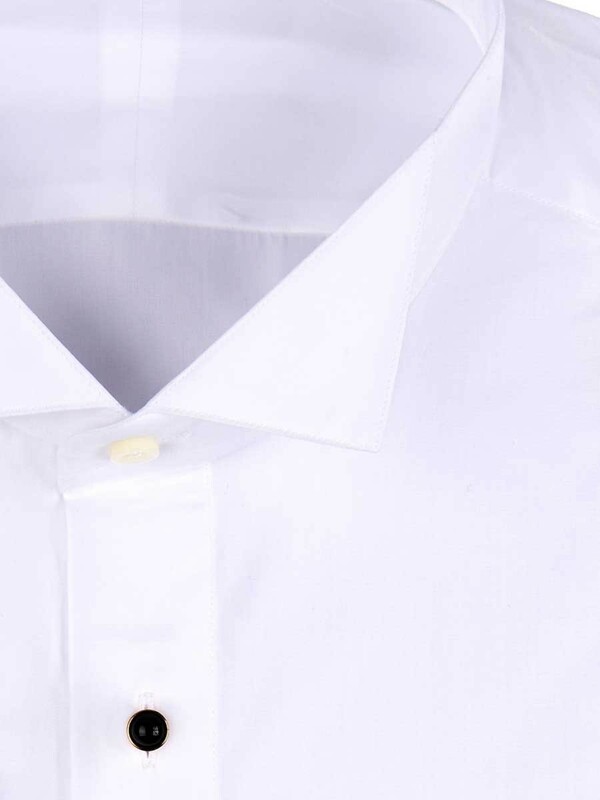 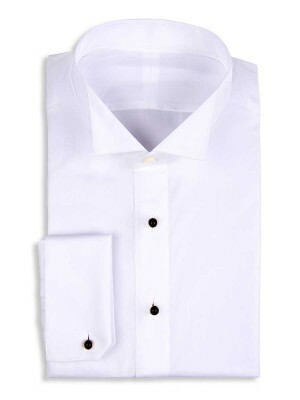 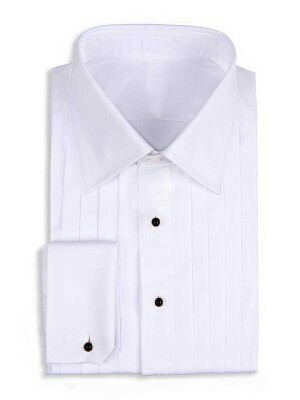 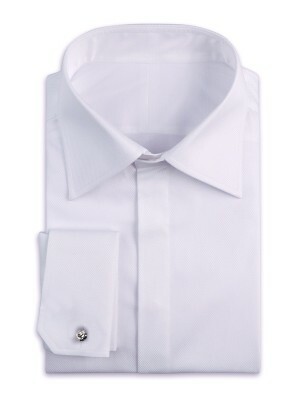 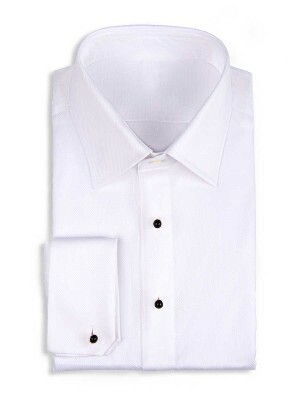 For serious dress occasions, every man needs a white poplin formal shirt. 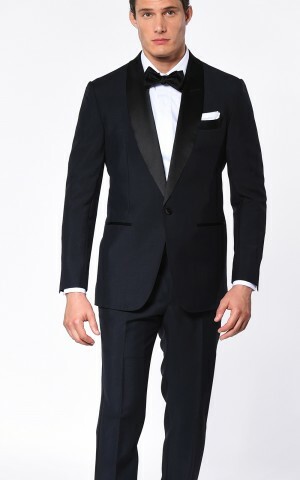 Our design features a tuxedo collar, stud front and french cuffs, and is made of 100’s 2-ply Egyptian Giza 45 cotton from Thomas Mason. 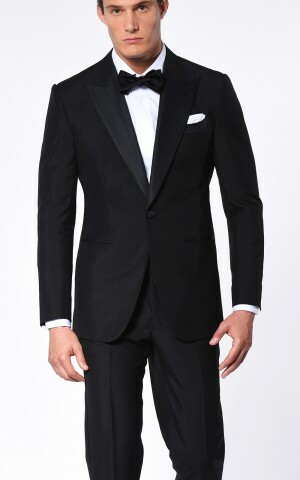 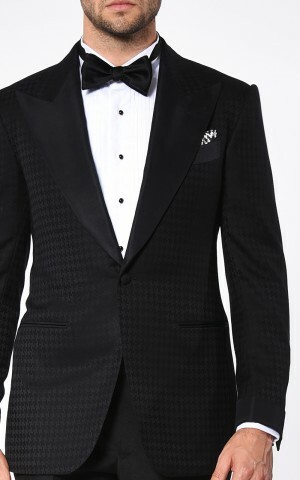 It should always be worn with a bow tie.